The Ontario Genealogical Society celebrated its 50th birthday on October 15. 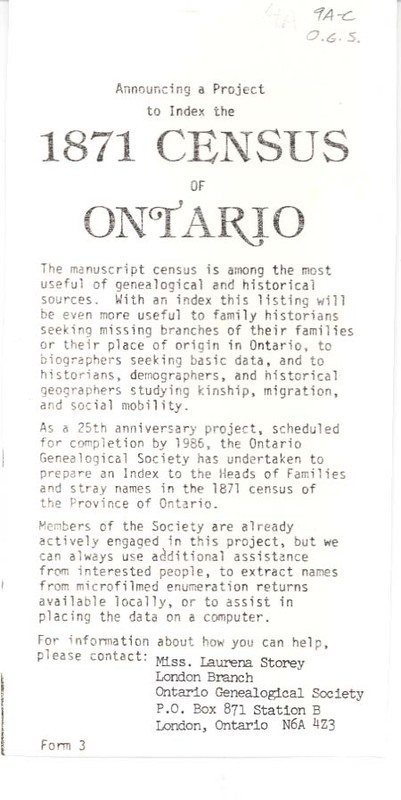 Here is some background and history on the non-profit corporation that promotes the study of genealogy across Ontario. Founded in 1961, the Ontario Genealogical Society developed with the sponsorship of the Pennsylvania German Folklore Society of Ontario at the University of Waterloo. Dr. G.E. Reaman served as the OGS's first president. The society published its first newsletter, Bulletin, in August of 1962; it would continue to be published three times a year until 1968, when it became a quarterly. 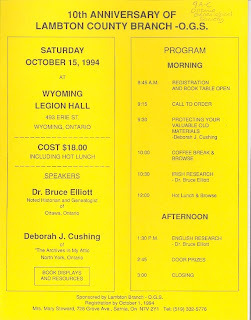 The mid-1960s were a period of growth, with the OGS's first seminar on April 18, 1964 (with 125 individuals in attendance) and the adoption of a constitution in 1966. Membership broke the 250 barrier by February of 1967. In 1971, the OGS had already established five branches: Toronto, London, Hamilton, Ottawa and Bruce-Grey. New branches would develop across the country over the following years. 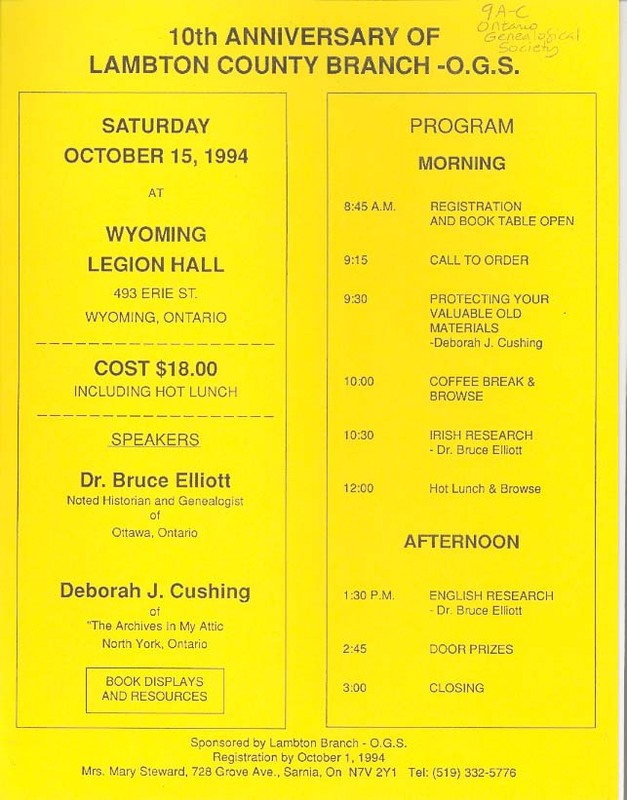 By the 25th anniversary in 1986, the OGS had 5,000 members in 25 branches; annual seminars with distinguished speakers; quarterly newsletters to keep members informed; and several indexing projects on the go, including work with the 1871 Census of Canada. The OGS continues to work on interesting and genealogically important projects, including the transcription of cemetery tombstones and inventories of records from places of worship. The Lambton Branch of the OGS was founded in 1984. Branch members are currently involved in a variety of interesting projects, including the indexing of birth, marriage and death notices from local newspaper the Petrolia Advertiser Topic. A recent investment in sophisticated scanning technology shows a determination to preserve the past while maintaining a connection with the new digital age. The OGS has a proud history and is always happy to welcome new members. As part of the 50th anniversary celebrations, the OGS is encouraging individuals across Ontario to donate copies of their family histories, to better consolidate and preserve the excellent genealogical research that has been conducted across the province.